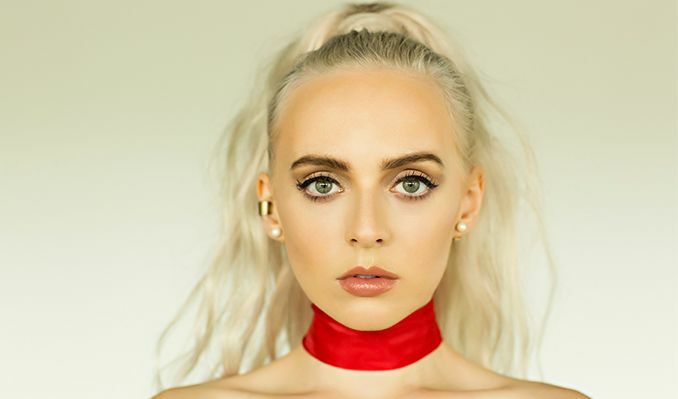 Madilyn Bailey is a pop singer and songwriter originally from a small Wisconsin town, now based in Los Angeles. Over the last ten years, Bailey has worked to build a community of nearly 9M fans (6M on YouTube alone) of her and her powerful voice. Along with a batch of brand new music slated for release this year, May 2nd marks her debut headline show in Los Angeles at The Roxy. Due to the global success of her covers, in 2015, Madilyn signed her first label deal with Warner Music Group’s label PlayOn in France. Building an immense following in the territory with strong commercial radio support, her covers of “Titanium”, “Radioactive”, “Rude” and “Believe” have all spent over 30 weeks on the air. Since, Madilyn has released two successful EPs and many original singles and cover songs garnering millions of worldwide streams. Her most recent EP, Wiser, topped the iTunes chart at #11 within 24 hours of its release in July 2016 and last year, she released “Tetris,” which has garnered over 3.2M Spotify streams to date.